Julia Eder, Manager of the Salzburg's Showcase, talks about the lesson learned and the objectives achieved during the three years of CreativeCH project. Carme Prats i Joaniquet, Manager of the Catalonia Showcase, talks about the lesson learned and the objectives achieved during the three years of CreativeCH project. 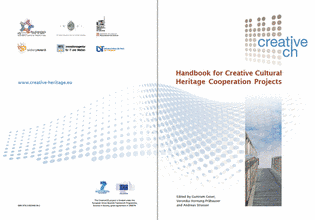 The CREATIVE AT-HU project brings together creative businesses in the cross-border region of Austria and Hungary, and invites participants to their CREATIVE Expo, 1-4 October, Sopron, Hungary.